Stonexchange prides itself on being the leading wholesale distributor of quality natural stone window sills at a discount price. We’re successful because we carry only the most sought after natural stone sills in the market. In essence, a developing contractor really can’t go wrong with his or her sill choice from our inventory. Every natural stone sill we stock will be one that will complement any type of interior design. We know this because its what our customers ask for. The Importance of Helping Customers Make Money! In order to keep our customers coming back, it’s our priority to keep supplying them with what’s going to help make them money. That’s why we’re please to introduce our Euro Beige Limestone Window Sills. Neutral seems to be the name of the game when it comes to interior decorating for building contractors. It increases the chance of a buyer placing an offer on a home and it’s quite complementary to the resale value. The one issue about this concept is that neutral can be overdone. After awhile, all new builds start to look the same on the inside. Eventually, buyers will look for something different. Euro Beige Limestone Window Sills is it! Typically, the main type of natural stones that Stonexchange carries in stock are marble and travertine. When it comes to décor, trends change and we’re changing with it! By adding limestone to our selection, we’re giving buyers a wider selection of the types of natural stone to select from for their residential and/or commercial builds. Limestone is a sedimentary rock that is made up of coral molluscs and other marine-like organisms. Limestone is mainly made up of different crystal forms of calcium carbonate like aragonite and calcite. If left untouched, marine organisms can continue to build upon one another forming reefs. However, limestone isn’t always formed under water because of the water pressure and temperature conditions that can often cause calcite to dissolve. 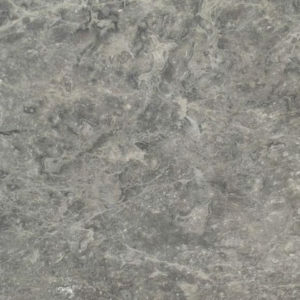 Limestone is also the base ingredient of what makes up marble stone. Limestone has a unique variation of organic colors. Unlike marble that has a wide variety of bold colors patterns and travertine that pretty much comes in variations of beige, ivory, and brown tones, Euro Beige Limestone has a slight pinkish hue to it giving a light pop of color that’s not too offensive to the eye, yet still versatile enough to go with a different types of interior styles, textures, and colors. Limestone actually comes in a variety of color variations, but we have discovered that developing contractors tend to lean more toward Euro Beige Limestone. We believe it’s because of the uniqueness in the tile. If buyers wanted a brown/beige tone tile, they’d go with what every other buyer has chosen. What’s most unique about limestone is that it has a slightly softer feel, yet is strong and durable, able to outlast the structure of most homes. Like any other kind of natural stone sill that we carry, limestone will need to be treated on an annual basis. It a type of tile that’s waterproof, yet porous. If you want to keep your Euro Beige Limestone Sills looking as good as they did the day they were installed, then you will need to coat them with a clear protector that will prevent any discoloration as well as shielding it from harmful UV rays. This is something you can easily do yourself. Simply stop by your local home improvement store and pick up a supply of limestone sealant or you can hire someone to do it for you. Realtors have discovered Euro Beige Limestone to be a highlighted feature to post on their listing. Many of our developing contractors are starting to prefer Euro Beige Limestone because it offers the lasting qualities that any natural stone tile has, but with a softer tone. The overall appearance will still possess the neutral tones that every buyer is looking for. However, the pinkish hue allows decorators to be a bit bolder with their staging choices while not overstepping the boundaries of a neutral design. If you’re a builder in the Miami area looking for a way to add a slight pop of color into your next build, consider incorporating Euro Beige Limestone Window Sills. The pinkish hue brings just enough depth to the tile that adds another dimension luxury and style. This type of sill pairs nicely with the Art Deco style that has defined Miami and South Beach. When you purchase Euro Beige Limestone Sills from Stonexchange, you have the opportunity of getting a bulk supply at one of the lowest prices in the market. We keep a well-stocked selection of this beautiful stone sill at our Miami warehouse in the 3” to 12” width sills in increments of 3”, 4”x 4 ½”, 5”, 6”, 7”, 8”, 9”, 10”, 11”, 12”. If you are building a structure that includes customized windows, Stonexchange can cut your Euro Beige Limestone Sills to the measurement of your liking. Custom orders will take a little longer because they need to be cut at our quarry overseas. This can take anywhere between 2 to 3 months to process and ship your order. You’ll definitely want to keep this in mind when you’re contracting structures with irregular-sized windows. Place your order today with Stonexchange. If you’re looking to stock another kind of natural stone window sill, our customer service representative can offer some suggestions. Call to place your order today at 305-501-4548. If you have more questions, ask us online.